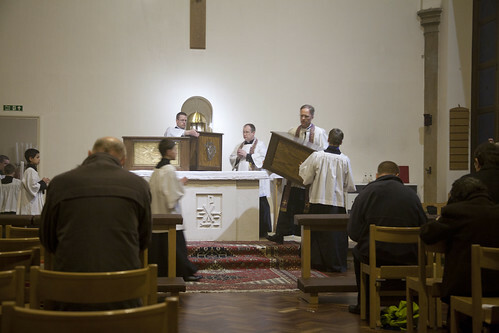 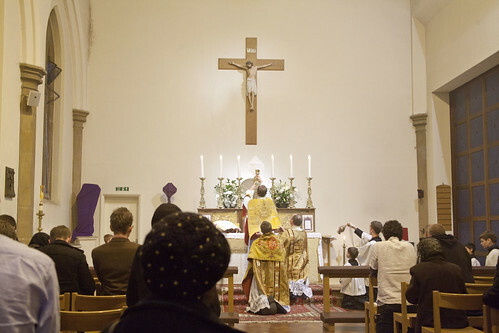 On Maundy Thursday the Fraternity of St Peter had a very well-attended High Mass in St William of York, Reading. 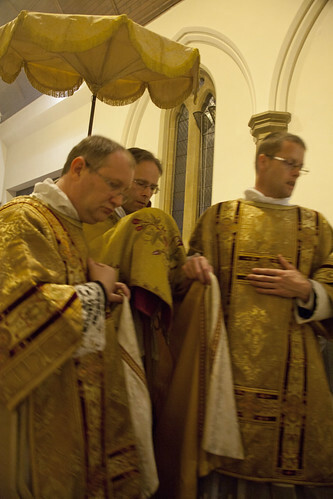 Fr de Malleray and Fr Goddard were joined by a seminarian, the Rev James Mawdsley. 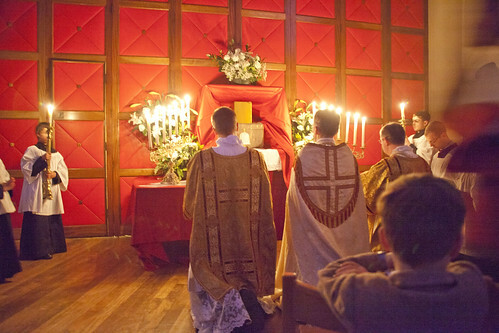 The procession with the Blessed Sacrament.